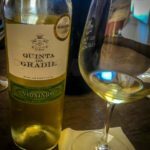 Though it lies within 90 minutes’ drive from our house, Quinta do Gradil first came on our radar as a quinta to know through a company in California called Naked Wines. A unique outfit, Naked Wines serves to connect educated consumers directly with small wine producers around the world. 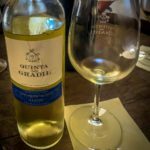 The customers act as “angels,” providing a monthly stipend that is offset by discounted purchases when the wines come to market. 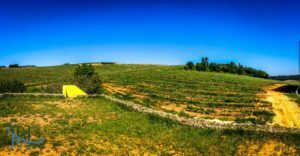 The winemaker Luis Vieira posted an update on one of his project wines–and since he was one of few winemakers on the Naked Wines project based in Portugal, we had followed his efforts. And the wine was intriguing–a blend of Syrah (which I love) with other red grapes. 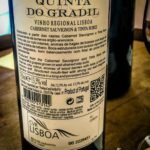 I contacted Vieira, and he connected me with his company centered on Quinta do Gradil. 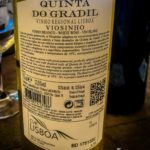 We’d enjoyed several wines at various price points from Quinta do Gradil, from the value blends under the brand Mulha Velha (Old Mule) to the main estate wines. Intrigued by how the estate was growing, we made an appointment for a tasting with Dina Caetano, the enoturismo coordinator. On the Sunday we arrived, we joined a Dutch couple visiting the area, and Dina showed us the quinta and shared its story. 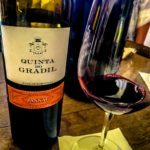 Vieira bought Quinta do Gradil 16 years ago, and like many quintas within striking distance of Lisbon, it has a colorful history. The quinta belonged to the Marques de Pombal (famous for rebuilding Lisbon after the great earthquake of 1755), which he supposedly purchased for a mistress. However, the estate itself has been vinifying wine in one form or another since the 1400s. 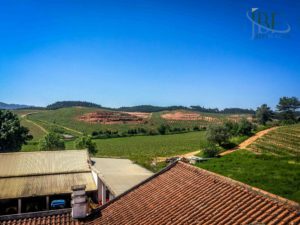 Vieira purchased a project, and not just in reclaiming the vines and planting new ones: On the main house, the roof was caving in, and the quinta’s chapel was in extreme disrepair. Restoration began last year (2017), and the scaffolds tell the story of a work in progress. The hope will be to have the buildings habitable within a couple of years. 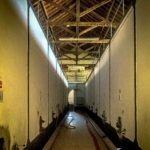 For now, the main production buildings house not only the winemaking but also the tasting room and a restaurant–so there’s plenty to see while the reconstruction continues. When the project concludes, the quinta will make a gorgeous place for events such as weddings and conferences. With roughly 200 hectares under vine, the quinta grows a total of 22 varieties of grapes, both red and white. 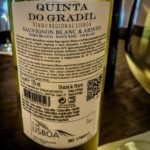 The whites range from Portuguese varieties normally found in the area, such as Arinto and Fernão Pires, as well as Verdelho and Viosinho, to international varieties including Chardonnay, Sauvignon Blanc, and Viognier. 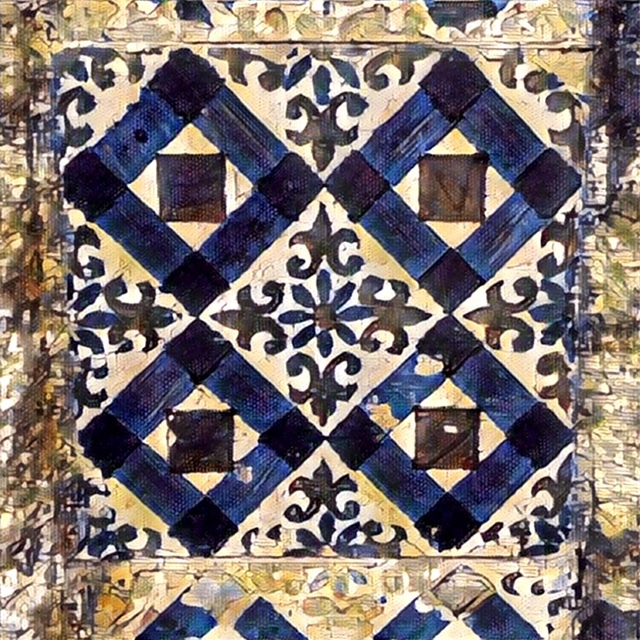 Reds include the Portuguese varieties of Touriga Nacional, Tinta Roriz, Alfrocheiro, and Trincadeira, as well as Syrah, Alicante Bouschet, and Cabernet Sauvignon. 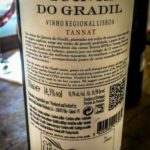 Perhaps the most interesting of the grapes is the Tannat, which is seeing revival around Europe, and according to our tasting, does quite well in this pocket of Portugal. 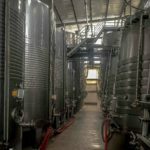 The winemaking facility came outfitted with equipment you normally find throughout Portugal for vinification. While some needed outright replacement, the cement tanks from 1960s are still in use, complemented by modern tanks, crushers, and destemmers. The white and red grapes are currently destemmed in different machines and pumped to the crusher. Then, the reds go into the cement tanks, and the whites into stainless steel. Trucks lining the courtyard outside wait to take finished wine to another facility for bottling. 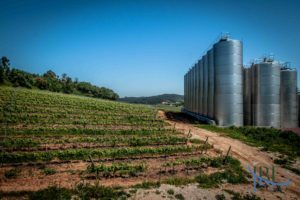 The quinta is undergoing a transformation to another modern practice as well: mechanized harvest, with the new plantings spaced for the harvesters. However, the quinta also sources grapes from small producers in the area that still pick by hand. The terrain surrounding Quinta do Gradil strongly reminded me of the Rutherford area in Napa Valley where a series of benches creates pockets in the land. On the flats near the entrance, Arinto and Aragonez are grown. Viogner grows close behind the tanks on a hill with an eastern perspective. Syrah grows in another valley closer to ocean. These variances in the land lend themselves to the wide variety of grapes that thrive here. We look forward to seeing more from Vieira as his projects continue, and as the quinta regains its former glory. Until then, we satisfied ourselves with the standard tasting, at €9 per person. 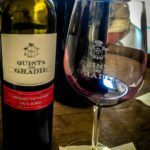 Contact the quinta for reservations on tastings and a wine menu presented at the restaurant at: enoturismo@quintadogradil.pt or +351 933 630 015/917 791 974. Freshness and minerality on the nose along with sweet peas, with more young petit pois on the palate, making for a sprightly spring wine. Honeysuckle on the nose is balanced with a taste of fresh pineapple and fruit salad on the palate. A food-friendly wine with character. Beautiful violets and dust on the nose, along with tobacco and eucalyptus. Red currants dominate the palate, with lighter tannins than might be expected. An intriguing wine: steak aromas in a dynamic play with elderflower on the nose, and black cherry on the palate. The Tannat spent 12 months in new French oak, creating medium to strong tannins. It was suggested to try with gambas caril (shrimp curry), and I can see that would be an interesting match.